Small groups meet every first and third Wednesday night at various homes around the area in order to grow relationships, pray, and discuss the previous week's sermon. Please see the bulletin or contact us for current meeting locations and times. 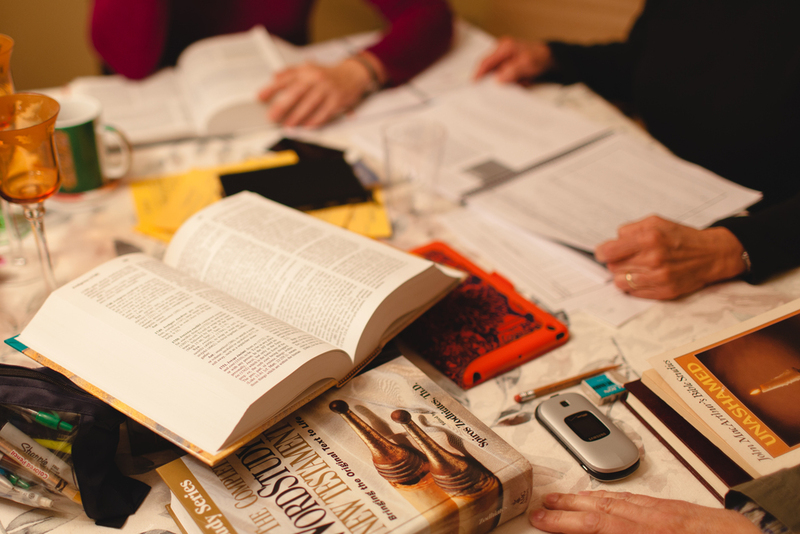 These groups meet throughout the year for Bible study and prayer. Women's Bible Study meets every Tuesday AM or PM and Men's Ministry meets the second Wednesday of the month at 7:00pm. Please see the bulletin or contact us for current meeting locations and times. College & Young Adult Ministry exists to help our young people grow into the men and women God wants them to be through Bible study, discipleship, prayer and community; preparing them to be leaders at work, church and home. Need a ride? The church van leaves Cedarville’s campus every Sunday at 8:45AM and 5:30PM (meet outside the DMC). Please contact us if you need a ride from another school. Childcare is provided for children ages two and under during all of our Sunday meeting times. We also provide live streaming video to the Nursing Mothers’ Room and Children’s Wing Lobby. College and young adult sunday school meets in the office building next to the main building at 9:15am. This is a casual and interactive teaching time geared toward application of various biblical topics.